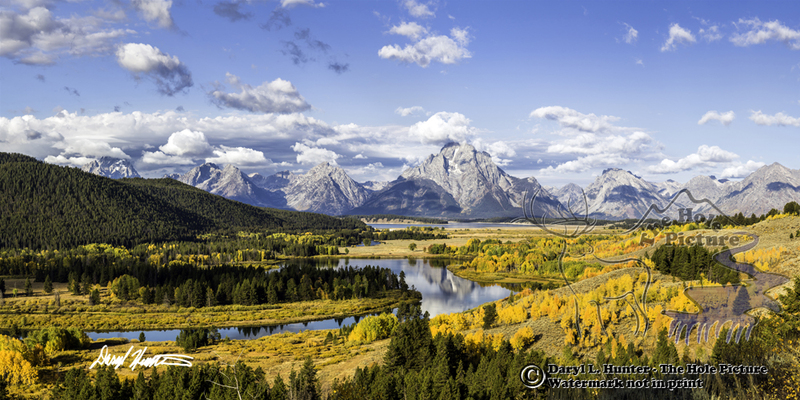 Eagle's Eye View, Oxbow Bend • This eagle's eye vantage point is a short bushwack up the hill from the famous overlook that reflects Mount Moran so well. I was pleased and surprised I could still capture a portion of Mount Moran's reflection so high above the Snake River. There was a time when I considered "peak color of autumn" as an absence of green, silly me, green is another wonderful color.